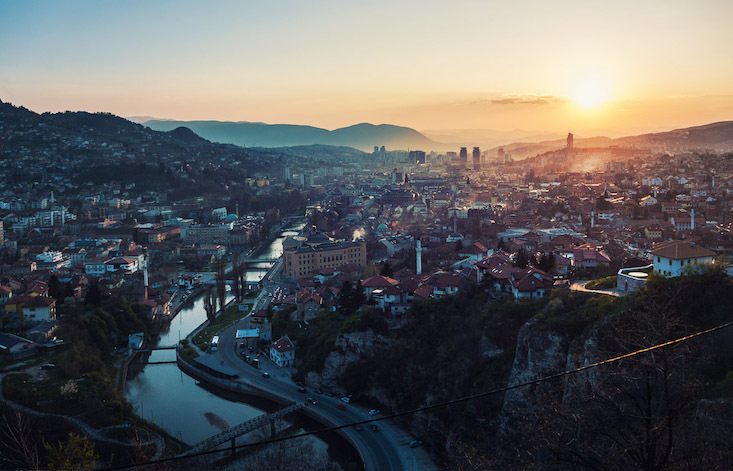 Officials in Sarajevo have launched a new online portal in a bid to reconnect with millions of Bosnian expats scattered across the globe. As well as providing news and government services to Bosnians overseas, the interactive hub hopes to harness the superior spending power of millions of citizens living abroad. Users will be encouraged to use the site to research and access the latest business and investment opportunities, bypassing the risk of corrupt local officials. There are two million Bosnian and Herzegovinian citizens living across the globe, compared to 3.5 million in the country itself. Many hope that the hub could be used to smooth over other disputes within the Bosnian diaspora, including ongoing rows on citizenship and voting rights.